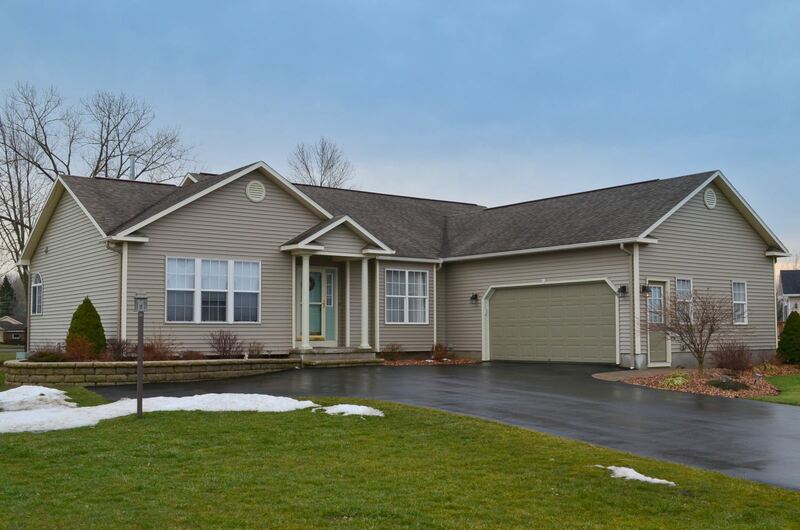 East Syracuse New York Neighborhood - This quality built Ranch home is situated on a half acre corner lot in the desirable and convenient "Laurel Park" neighborhood. It is centrally located in the ESM school district and close to parks, schools, shopping, and major highways. First Floor Features - The 1,866 sq ft of the spacious first floor features hardwood floors, a large/family living room with a gas fireplace and cathedral ceilings, a dining room, an open kitchen with a breakfast bar and abundant counter and cabinet space, a breakfast room off the kitchen to enjoy the morning coffee, a master bedroom with a large walk in cedar closet, a master bath providing a dual sink vanity/soaking tub/stand up shower, 2 other good sized bedrooms, and a full bath. Exterior - The exterior offers a deck which is great for entertaining, a fully fenced in yard, an over sized driveway, professional low maintenance landscaping, and a 2 car garage.